The case of an alleged attack against a TV reported by employees of a private company took an unexpected turn late Friday and began to take the shape of a reality show more, and more, painting the picture of the interaction between the prosecution, executive branch and the media in real time. The public’s and the authorities’ reaction to cases of attacks against journalists are extremely observant and alert. The degree of the public’s discontent is immensely higher when such a case involves an associate of the show Gospodari na Efira (Lords of the Air). The show has very high ratings and regularly and spectacularly exposes chases of corruption and abuse of power by institutions in their segment dedicated to investigative journalism. The Lords of the Air announced on September 26 that their journalist Dimitar Varbanov was a victim of aggression while working on a story about a warehouse housing expired foods. He and his cameraman had been at the warehouse trying to film the goods in the private warehouse in Veliko Tarnovo. The same night NOVA TV announced during their news broadcast that Varbanov had been ‘attacked’ and taken to hospital ‘with injuries on his arms and a concussion’. Other news outlets quickly picked up the story and reported it as a ‘beating’. The news of the ‘attack’ reached PM Boyko Borissov in New York City, where he attended the UN’s General Assembly 2018. Borissov said that he demands the people responsible for the beating to be arrested and for the “full force of the law to be brought to them”. 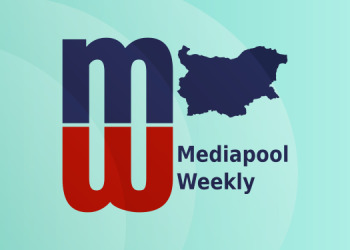 Several hours later the Veliko Tarnovo Prosecutor’s Office charged the warehouse’s manager and an employee with inflicting simple assault with hooligan motivation. The two were arrested and held in custody for 72 hours, while the court reviews the prosecution’s request for permanent arrest. Security camera footage, which Mediapool managed to get a hold of, shows that there is no beating. The recording shows the reporter being pushed by the manager of the warehouse an employee towards and out of the door of the warehouse. While the way the manager and the employee’s attitude and actions toward a journalist, investigating the alleged trade of expired foods, are unacceptable and offensive, from a legal standpoint they hardly justify for the accused to be put under permanent arrest. The security camera on the outside of the warehouse shows Varbanov falls over on his own after which the cameraman begins filming him. Once the footage became public on September 28 the prosecution dropped its request for a permanent arrest for the two accused. The Prosecutor’s Office has even begun contemplating bringing charges for falsifying a testimony against the reporter. At the same time Nova Broadcasting Group, which owns NOVA TV issued n official statement, distancing itself from the show Lords of the Air, which is an external production, aired on their network. “NBG is strongly disturbed by the false impression, which the journalist has produced. NBG finds such methods unacceptable and incompatible with the principles on which the professional investigative journalism lies. The media disassociates itself from the incident and will seek responsibility from the producer”, the statement reads. Minutes later the Lords of the Air’s executive producer Judy Halvadzhiyan announced his company is firing Dimitar Varbanov “for knowingly or not misleading the public with his actions after airing the report on the show”. Halvadzhiyan noted that neither Lords of the Air, nor Dimitar Varbanov have claimed that Varbanov had been beaten during the investigation but other media outlets “used overly dramatic or sensational wording such as “roughly beaten” and “heavy beating”, which fortunately turned out to be strongly exaggerated. This in no way undermines the fact that there was physical assault, even if not at that degree”. This way the reporter who merely hours before was proclaimed a hero and a martyr of the world of investigative journalism, became no only the one to blame but also a scapegoat of the preemptive actions of the investigators and the Prosecutor’s Office, who – in an effort to please PM Boyko Borissov – arrested and charged two people without actually checking for themselves the facts and circumstances surrounding the incident. After the footage from the security cameras on site showed what had truly happened, the police, the prosecutors and the PM became a collective laughing stock, and apparently, the only way to clear their reputation was by a public ‘execution’ of the reporter, performed by a private TV show. Sofia City Court has issued an order for the preservation of some of the former energy minister and current member of Sofia’s city council Traycho Traykov’s assets. The court has done this in sustaining a plea from the Anticorruption Commission, which deals with illegally attained assets’ confiscation. The procedure against Traykov began early last year when he was a defendant in a case for selling the last state share of the power distribution company, EVN in 2011. According to the prosecutors’ case, the deal had put the state in a damaging position, for which prosecutors seek responsibility from the accused. Charges in the same case were also brought up against the former minister of finance, Simeon Dyankov and the co-publisher of Capital Weekly and Dnevnik.bg - who is also a shareholder in the company, which liaisoned the deal, Bulbrokers - Ivo Prokopiev, along with Bulbrokers’ executive director and two employees. The investigation involving the case of EVN started as early as 2013, but was dormant until it was activated in a particularly important moment in time – Traycho Traykov’s candidacy for president and the decision by the liberal right not to support GERB’s candidate, whose loss Borissov described as the foremost reason for submitting his government’s resignation in 2017. The commission’s chief, Plamen Georgiev announced on Wednesday that the commission has found an inconsistency between Traykov’s declared income and his assets over the past ten years, amounting to nearly 2,5 million leva. Traykov has two weeks to prove the origin of the additional amounts. In case he fails, the commission will submit a request to the Sofia City Court for confiscation. Traykov gave an interview to bTV saying that he is finding it difficult to gather all the documents to prove the legitimacy of the assets. The complications increase especially as he has worked mostly abroad till several years ago, and collecting all the various records requires more time and logistics than normal. He expressed doubt the commission would even examine them. The Bulgarian National Radio reported on Friday that Traykov had submitted a request to the commission for extending the two-week deadline for collecting and presenting the documentation, proving the assets’ legal origins. Simeon Dyankov is also subject to similar probes by the commission, but it has not announced details about possible assets’ preservation. 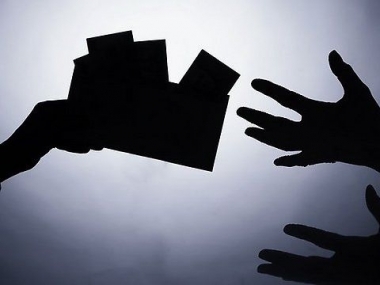 Meanwhile, the case for selling the state’s share of EVN has been transferred back and forth between different courts and the prosecutor’s office, mainly due to inconsistencies or procedural violations in the prosecutors’ case. The Sofia City Court was first to return the case for revision. The court noted that the charges against Traykov were vague, lacked essential details and evidence that links Traykov to the alleged crime. Moreover, according to the court, the prosecution’s case lacks evidence that Prokopiev and Dyankov had acted with the aim to harm the state in closing the deal for EVN, nor to ensure gains for Bulbrokers. The head of the Anticorruption Commission, Plamen Georgiev in an interview for NOVA TV said that the commission is probing MPs from every political party but it would only release information on those inquiries if and when it manages to collect enough data to take to the Prosecutor’s Office. He was asked if the commission has looked into the links between media mogul and Movement for Rights and Freedoms (DPS) MP Delyan Peevski and the former majority shareholder and head of the Supervisory Board of the Corporate Commercial Bank (KTB), who were business partners before the bank’s collapse in 2014. Georgiev replied that there is a huge difference between the two. “Tsvetan Vassilev was charged and we were conducting an inquiry [surrounding those charges]. We carried It out and found over 2.2 billion leva unaccounted for. This is why we put his assets into prevention. There is nothing of a sort in the case of Mr. Peevski … [as he is not accused of anything] we cannot conduct a full-on investigation into his assets”, Georgiev explained. 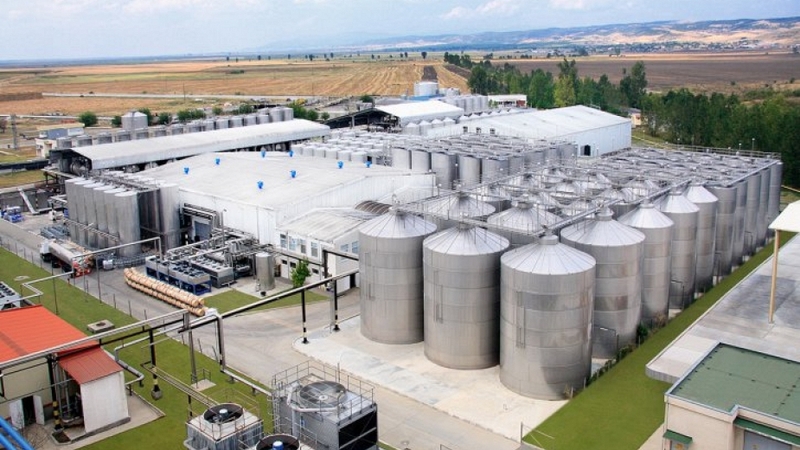 Bulgarian Customs Agency announced it had found an illegal alcohol pipeline in Karnobat Winery, which might have been used to bottle alcohol in a way that bypasses the monitoring instruments, used to calculate the tax the winery owed. The owner of Karnobat Winery, Minyu Staykov is under an ongoing investigation for illegal production of cigarettes, alcohol and for tax fraud. The director of the factory where customs officials had discovered the pipeline, Yovko Yovkov, told bTV that the pipeline is included in the plans the company had submitted 10 years ago as part of its license application. Yovkov justified the existence of the pipeline as part of a safety protocol. Valeri Stefanov from the Burgas customs office, however, claims that the pipeline had not been there before and that its construction had never been approved. According to the deputy chief of the agency, Yulian Mirkov, the fines, which officials will impose, could cause the winery to be forced to close down permanently. Workers in the winery have been protesting against the factory shutdown. Regardless of the customs’ announcement, however, the Karnobat Regional Court authorized most of the winery to resume working almost immediately. Two of their factories were re-opened on Monday. The factories had been effectively closed for several days and during a Weekend. The mayor of Karnobat, Emil Dimitrov told bTV that if the winery closes down, it will have devastating effects on the municipality. The winery’s CEO Emil Pilev claims the losses for the first two days of the shutdown were 10 million leva. He also said that apart from “employing half of the city’s population”, the winery provides business to local distributors of grape and other materials, banks etc. DANS will be able to embed its agents inside companies in the private sector without having to inform anyone, including the owners of those companies. The new provision comes with the last approved amendments of the DANS Act and the regulations for its application. The amendments give the right to DANS agents to pretend to possess any professional training, except in the legal field, and particularly – they cannot assume positions of lawyers. 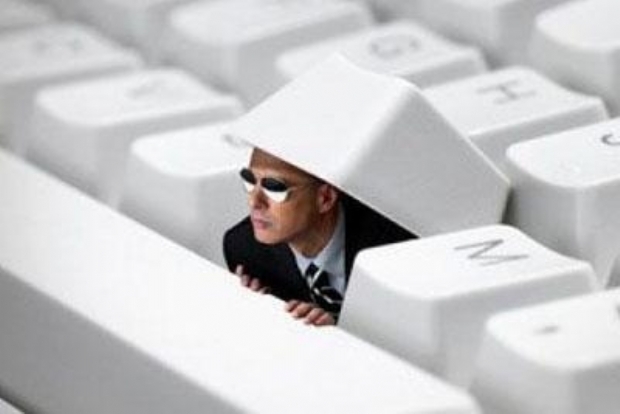 The reasoning behind the amendments is that the former requirement to inform the owners of a company or its managing body in case agents were working undercover in them, could cause delays in acquiring the necessary information, or completing the task the agent is sent to accomplish. Currently, all the provisions to that effect have been lifted. 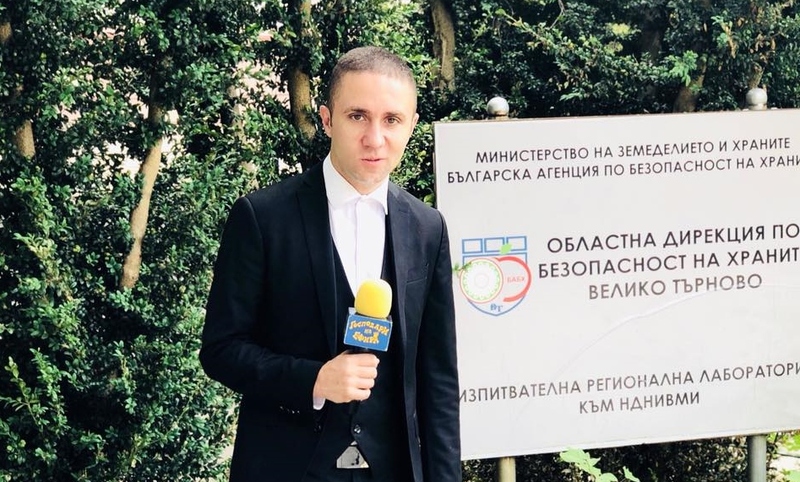 One of Bulgaria’s most renowned journalists, Ivan Bedrov, will head the Bulgarian service of Radio Free Europe, the media announced. Ivan Bedrov is currently the Deputy Editor-in-Chief of Club Z Magazine and the news website of the same name. Bedrov was a reporter for RFE back in the day. He has also had TV shows in bTV and the since-closed cable news network RE:TV. He regularly writes op-eds for Deutsche Welle’s Bulgarian edition, as well as for other news websites. According to the official statement of RFE, Bedrov will assume the position on October 15. RFE returns to Bulgaria 14 years after it left per its assessment that the country had completed its transition into a functioning democracy. The conclusion, however, seems to have been premature. The timing of this return also coincides with the severe and steady decline over the years of press freedom in Bulgaria, as registered, among others, by the Reporters Without Borders ‘s Press Freedom Index. 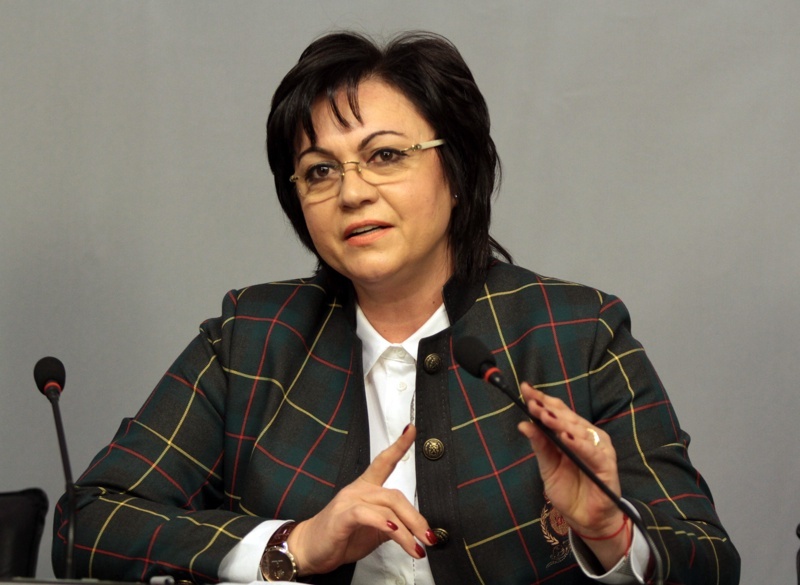 BSP leader Kornelia Ninova submitted the necessary registration documents to the Council for Electronic Media for the new party network. The largest parliamentary opposition party pledged 2 million of its state subsidy to lunch the network following a vote of its managing body in March 2018. The party has decided to call the new channel the Bulgarian Free Television. The network will produce news shows that discuss local problems, host municipal debates and the like. The network will also be at the forefront of the party’s campaign for the next elections for mayors and municipal councils. Interestingly, in talking to reporters after submitting the documents to the CEM, Kornelia Ninova talked about the network helping the country to push off from taking the lowest place in rankings on press freedom. Bulgaria took the 111 position in the last Press Freedom Index report but Ninova was then among those who criticized and sought to delegitimize the index and the organization behind it, Reporters Without Borders. Along with the largest ruling party GERB, and the Movement for Rights and Freedoms - the party of media mogul Delyan Peevski, who was named in RWB’s report as the primary reason for Bulgaria sinking continuously and dramatically over the past years in the index – all maintained that either the index is rigged or is irrelevant, or illegitimate. Now, however, apparently, BSP’s stance on the matter has changed drastically as the PFI has now become grounds for investing in a party news network. 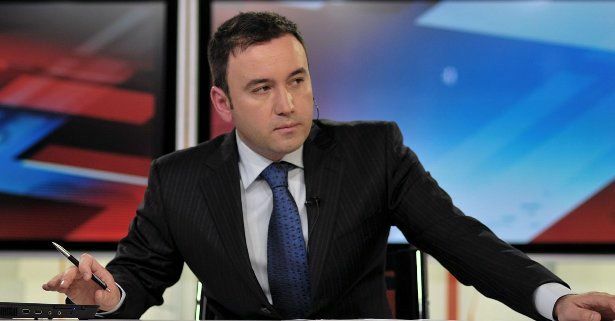 Liubomir Kolarov, who is a former journalist at the Bulgarian National Television will head the new corporation. The network’s motto, he announced, will be “Be free”. 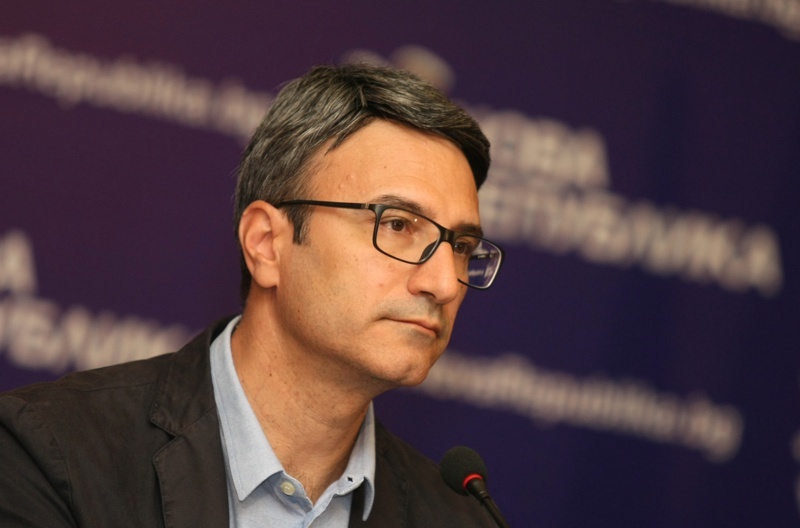 The leader of one of the two largest unions in Bulgaria, KNSB, Plamen Dimitrov announced during a conference on Tuesday that the gray sector in the Bulgarian economy makes up 30% of the whole economy. The head of KNSB repeated the union’s prediction from the past that the introduction of the flat tax will do nothing to lower the gray sector. KNSB proposes for a non-taxable income to be introduced instead for the minimum wage and to increase the upper threshold for social security contributions, which is currently set at 2600 leva.